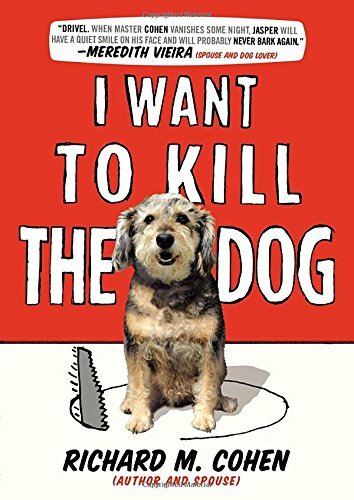 A hilarious book by Richard M. Cohen, the New York Times bestselling author of Blindsided and Strong at the Broken Places, about living with his wife, Meredith Vieira, and her band of difficult dogs. So wonders Richard M. Cohen, who has endured the beasts his wife, Meredith Vieira, has brought into the house to enrich their lives. Despite her unshakable affection for these furry creatures, the various animals have destroyed the serenity of a once calm household. Friends watch in stunned silence as the family frantically struggles to keep peace in this lawless land. Delivery people have fled in fear. Guests have cowered or simply laughed at the hideous shrieks, the current mutt’s stab at intimidation. Then there are the cats that think they are ferocious jungle creatures. Weary of having animals run the show, Richard is fed up. These animals are destroying a home, and the life of one simple soul who seeks only peace and quiet. The King has been overthrown. The Queen and her court have taken over. That would be Meredith and her minions.